Drivers admitted to knowingly breaking the speed limit at least three times per car journey, dramatically increasing the likelihood of causing a potentially avoidable road accident every time they set off. In fact, almost 7 in 10 drivers (69%) stated they have had at least one speeding-related road accident since passing their driving test. For those caught out, speed-related offences have cost drivers an average of £307 each over the past 12 months. And it seems that traffic signs aren’t helping – the research, which included a mock theory test, showed that a significant number of drivers were still confused about The Highway Code, particularly with speed-related traffic signs. 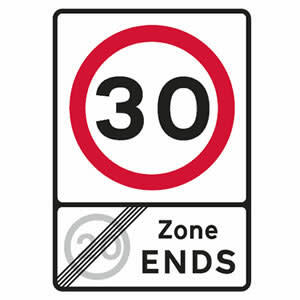 The sign means: End of 20mph zone and start of 30mph speed limit. More than 1 in 2 drivers (55%) failed to answer correctly. The sign means: National speed limit applies. 3 in 10 drivers (33%) failed to answer correctly. 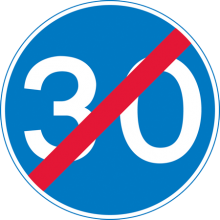 The sign means: Minimum speed limit of 30mph ends. 6 in 10 drivers (60%) failed to answer correctly. 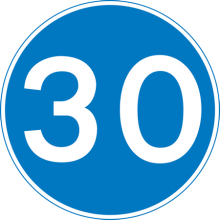 This sign means: Minimum speed limit of 30mph permitted. More in 7 in 10 drivers (71%) failed to answer correctly. On reflection, most people (66%) agreed that drivers are more reckless on the road now than they were 10 years ago, and more than half (56%) were positive about self-driving cars being better than human drivers at identifying and reducing potentially fatal road accidents. 2% said they would break speeding laws in order to get to a store before it closes, and another 2% said they wouldn’t want to miss a TV show. Others stated that legitimate reasons include “being on an empty road when it is perfectly safe”, attending to a “burglar alarm at home going off” and even “to escape the police”. “Despite good intentions from the government in increasing speeding penalties, it seems the prospect of a fine isn’t a strong enough deterrent for drivers. 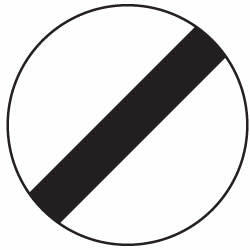 In fact, many seem to be justifying the fine as ‘payment’, giving drivers a pass to speed and break the law. This, coupled with the fact that a significant number of drivers are unable to identify basic speed-related traffic signs, is contributing to a more potentially unsafe driving environment. From the moment they begin driving, and as part of Road Safety Week (20-26 November 2017) this week, we urge drivers to refresh their knowledge of common traffic signs and ‘speed down’ - obeying the rules of the road keeps us all safer in the long run”.